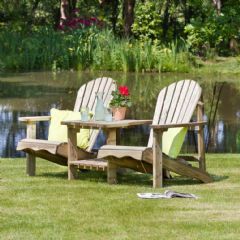 With this Greenfingers Loreto Balau 160cm Companion Seat you can enjoy sitting outside for a tête-à-tête with a friend or loved one. 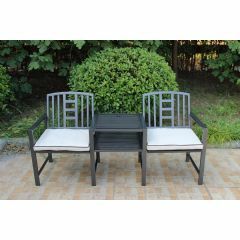 Relax and enjoy a glass of wine or snack with ease, thanks to the handy table in between. This section is removable, so can be converted to two arm chairs if preferred. 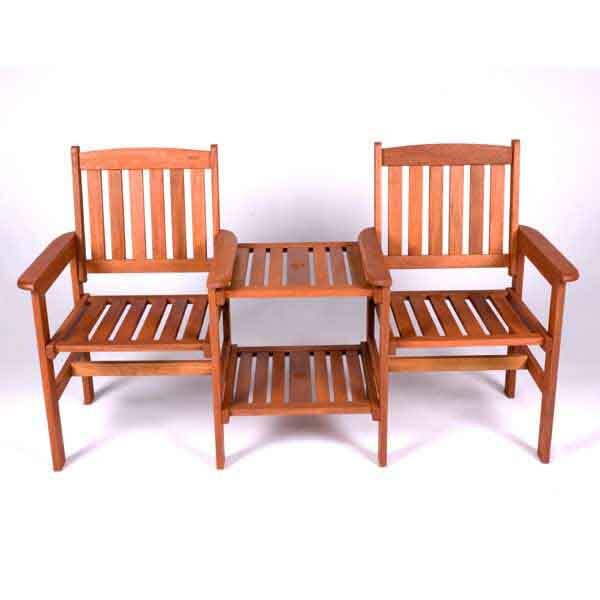 This is made from Shorea balau, which is often sought after due to its similarities to teak, and the biggest attribute of this wood is undoubtedly its strength. 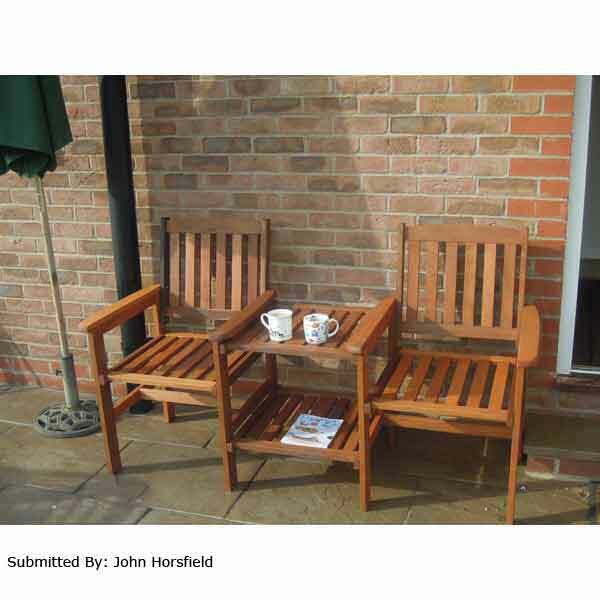 It’s a class A hardwood, and is renowned for its excellent resistance and wear - making it ideal for garden furniture. Please note, when assembling your Companion Bench, Part E, the top of the table, has straight holes. The bottom of the table, also Part E, has slanted holes - please make sure you do not force the screws in as this could damage your product. This is my third purchase in a few weeks from Greenfingers. I have been very happy with all purchases. Felt confident this latest item would be as good as my previous two. There was some damage when opening box on a couple of parts, but this was speedily taken care of after a phone call. 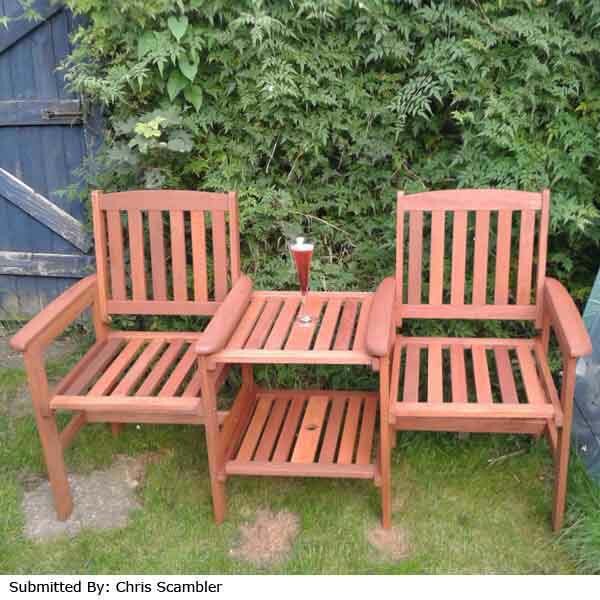 This bench was easy to assemble, was of good standard and most importantly looks great in my garden. 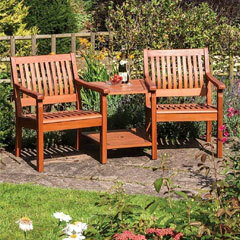 I have purchased a couple of seat pads and the bench is lovely and comfortable. 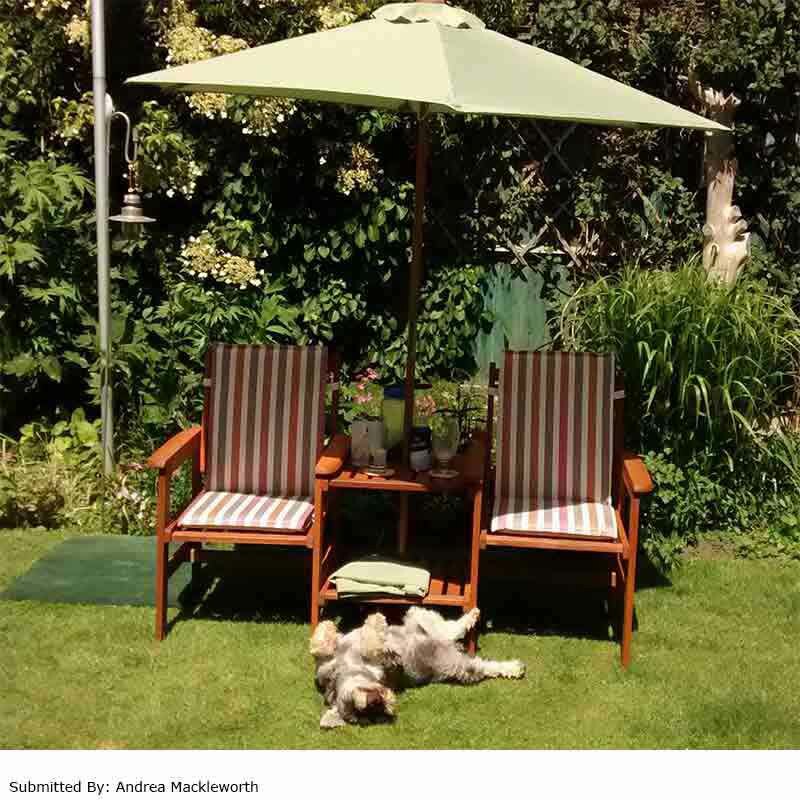 I am very pleased with this seat and would not hesitate to buy again from Greenfingers and recommend them to my friends and family. These arrived flat pack but were easy to assemble with all the necessary bits. Care has to be taken to ensure the correct pieces for the table supports are used in the right manner. Aside from that, the whole thing was put together quickly and easily with a little help from a nine year old granddaughter. Thrilled to bits with this purchase. 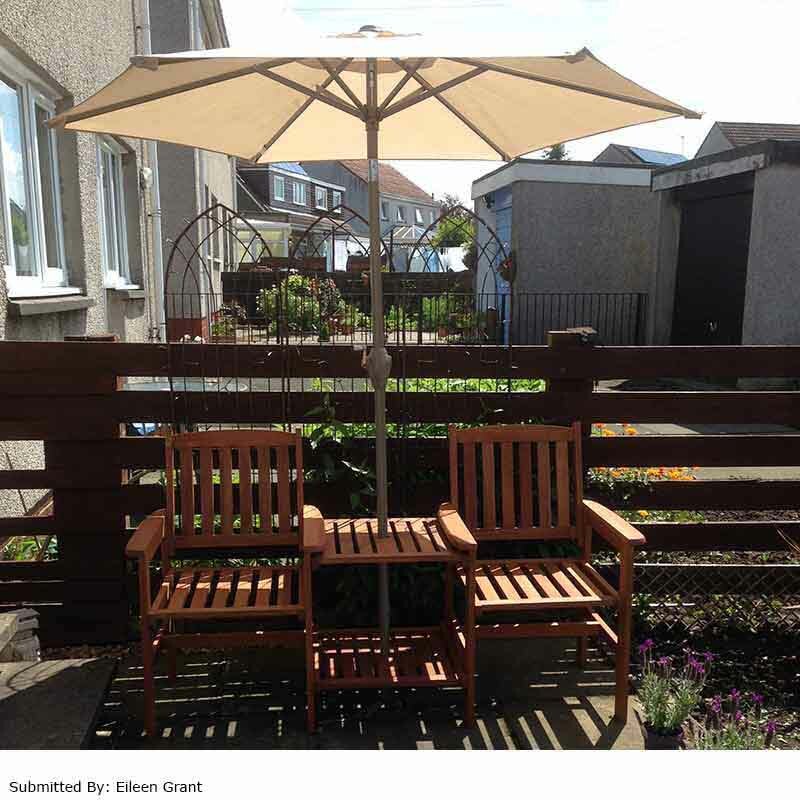 Bought it for my mum's 80th birthday and she loves it and we liked it so much we bought another one for ourselves. Beautiful wood and very sturdy. Was easy to assemble with 2 of us. Would recommend this seat to anyone. Arrived promptly & delivery man very helpful. 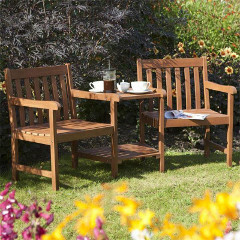 easy to put together with clear instructions - balau wood is sturdy & a lovely rich colour - seat width is generous & table a usable size. Seating unit was easy to assemble by two people.  It looks good now it is assembled and is good value for money. The gentle man that delivered my fence panels unloaded them Himself and refused my help.I would recommend greenfingers To every one to purchase their products. A very good price And service. 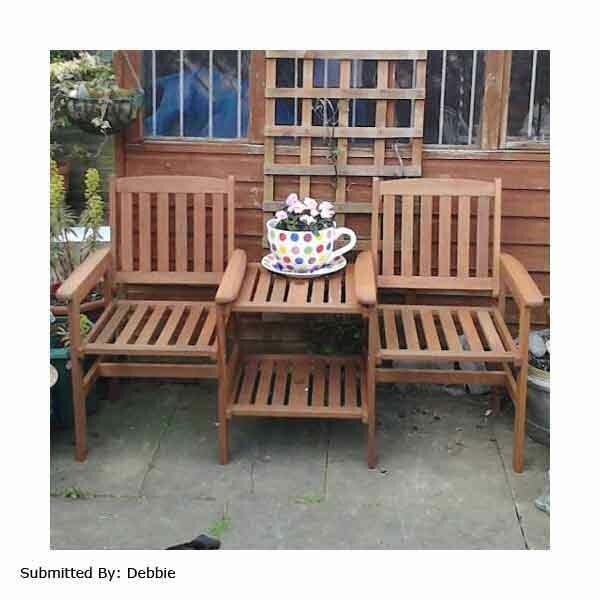 The Bench set is for my Mothers 85th Birthday so she can enjoy sitting outside in the garden. It arrived on time and was set up very quickly, thankyou Team at Greenfingers.